Getting that coveted job is no longer easier in this fast market, what with so many people competing for a single post. So, how do you stand out from a pool of applicants? 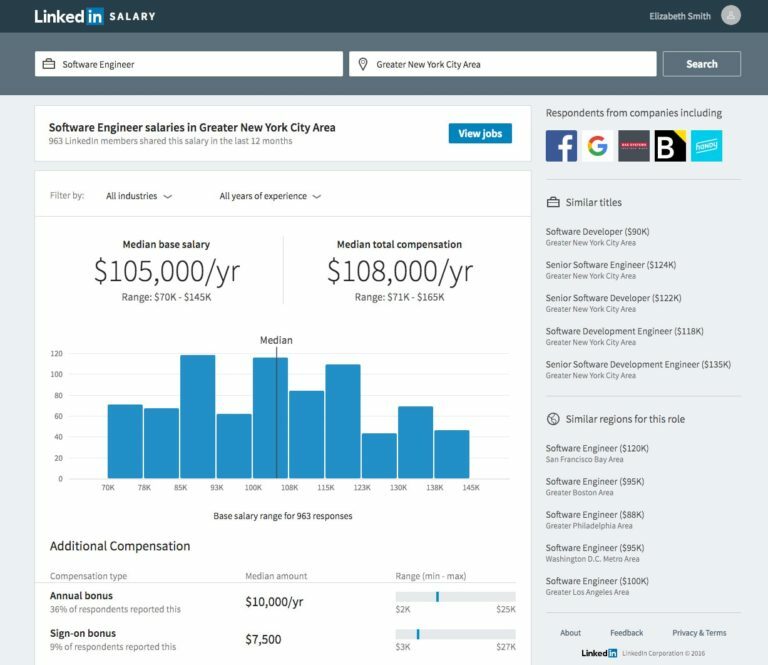 This is where LinkedIn’s special features can help you bag your dream job in a much simpler way. All you got to do is know that LinkedIn has an abundance of features and using each one of them to the fullest can make your professional life much easier. The Connected app is a smart move by LinkedIn in making sure that you stay up to date with the professional lives of people with whom you are connected with. This is achieved by syncing your calendar with LinkedIn. For example, if you have an interview scheduled with a recruiter in the upcoming week, your synced calendar is used as reference by LinkedIn and the Connected app gives you the update history of the recruiter with whom you have a meeting. The update history includes their recent articles published on LinkedIn or even their ongoing projects and research work, which they would have uploaded on their LinkedIn profile. Now, you may think how is this useful. This acts as amazing conversation starters and helps in breaking that ice. It also gives you brownie points because you already know what the other person is currently working on. This definitely will give you an edge as compared to others. Well, who doesn’t want to be well paid? More than being well paid, it is more important to know if you are being paid the right amount, proportionate to the work you are doing. This leads us to an inquisitive question as to, how much others are being paid in the same field, or in the same position as you are, or even in the same city as you work in. LinkedIn Salary answers all these questions for you and probably more. Using LinkedIn Salary, you can filter out the information based on geographical location, work experience in terms of years and even education qualifications of people. But, there is a catch. In order for you to see all this information, you got to share your salary details first. Don’t worry as this information is encrypted and is not visible to anyone else. Another thing to keep in mind is that LinkedIn Salary is heavily data dependent. If any of the users have lied about their remuneration, then the statistics showed may not reflect the true job scenario. What is your priority when you are looking for new job opportunities? Are you interested to find out if you will get the opportunity to work on quality projects? Or, do you want a better work life balance? The Upgraded Employer Pages gives all this information and much more like- the average age of employees, skills of the current employees, their education level and so on. The Employer Pages have information divided into key 3 branches: Overview about the company, Jobs available and Work Culture of the company. So, how do you access all this information? It’s simple. Just go to the “Job” tab in your profile and look for “Employer Insights”. Let’s say, you have moved to a new city and want to connect with your old classmates and seniors who are in the same city as you have shifted to. Or, you want to search for alumni who have the same skill set as you do, probably because you are looking to collaborate with someone on a project. The reasons might be many, but LinkedIn offers solutions to each of your queries. 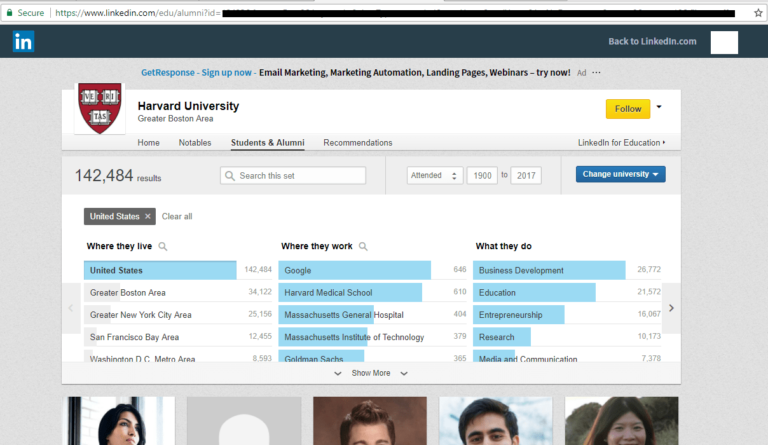 Just type in https://www.linkedin.com/alumni to start exploring your alumni network. This is an untapped feature by many LinkedIn users. Open Candidates is a boon to those job seekers who are looking for better job opportunities but do not want their current employer to know that they are doing so. Click on the “Jobs” tab on your LinkedIn page. Turn sharing “On” and fill out all the details as to which field you are looking for new opportunities and what position you are interested in. By doing so, recruiters see your profile as “Open To New Opportunities” and the best part is that this is hidden from your current employer! You might have done some amazing work in your professional life, like hosting seminars, developing a working business model or given an important presentation. But, how do others believe that you have done all this unless you show them some proof? This is where the power of multimedia comes into the picture. If you have given a presentation, then use SlideShare and share your presentation on LinkedIn. You can also put up pictures of yourself hosting a seminar or even a video of your working prototype. This helps people pique their interest when they come across your profile and recruiters know that they can always trust on you when they need to hire somebody, as you have shown them your calibre through multimedia. When you first create a LinkedIn profile, LinkedIn gives you a custom URL by default, which contains unwanted letters and symbols towards the end. This does not look one bit professional and can significantly hamper your chances of getting a good job offer. If an interested recruiter decides to look into your profile and finds gibberish in your URL, it gives out a sense of unprofessionalism, especially when LinkedIn has provision to personalise your URL. On your LinkedIn page, click on Me > View Profile. Select “Edit your Public Profile”. Pro Tip: Always keep your full name in your URL, as it appears on your resume. You can also add in your profession in the URL. Preferably, wear a formal attire. The photo must contain only your face and maybe 20% more, till your shoulders. The profile picture must be your recent photograph. A smile goes a long way in enticing a warm, trustworthy feeling in the viewer. The photo must contain only you and nobody else. No group photos or pictures with your pets. If you want to connect with someone on LinkedIn, who you think might be impressed by your work and offer you a job or a project to work together with, then it is imperative that you start off on a positive note. That is, all connections happen by sending connection requests. Before you send across a connection request to someone, research about their ongoing works, look into their LinkedIn profile and see what articles they have shared or published recently. In your connection request, you can mention that you admired their recent projects or in awe of their recent achievements. You can then state what skills you possess and how you think you can either learn more from them or directly talk about that job opening if they are recruiters looking to hire people. Sending out a message along with your connection request is a great way to accentuate the point that you want to connect with them for a solid reason and are really serious about your motives. With around 467 million users on LinkedIn, it is common to have a common name! So, how do you differentiate yourself from others who have the same name as you do? The trick here is to have your own signature block, which consists of your full name, job title and contact information like your professional email address. The trick here is to place the signature block in your summary section. You can leave your signature block whenever you publish articles or share some interesting articles or status updates. This way, people always know who you are and where to contact you, if need be. LinkedIn is a powerful professional network, when used in the right way, has the power to give you not only better job opportunities but also a chance for you to increase your knowledge in the fields you are interested in. Following the above mentioned hacks and some more will surely ensure that you are one step ahead of others. Abhyank Srinet holds a Masters in Management degree from ESCP Europe & has an engineering degree with a specialization in Instrumentation & Control. His interest in the digital landscape motivated him to create an online start up for Masters in Management application consulting (MiM-Essay.com), focused on spreading quality information about the MiM degree & performing application consulting services for clients. He is the chief consultant of the company and takes care of Business Development and Digital Marketing side of the company.